Learn what professional grant writers do before applying for a grant writing job. Dr. Bob Zeanah recently shared his insight and expertise about this subject with LoveToKnow Freelance Writing. Dr. Zeanah retired from his full-time position in educational administration to pursue a full-time freelance grant writing career. LoveToKnow (LTK): What made you decide to pursue a career in grant writing? Dr. Bob Zeanah (BZ): In some ways, the career in grant writing pursued me and decided for me that I should be a grant writer. As long as I can remember, even as a child, writing has been something I did. Somewhere along the way in adulthood, I started calling writing a hobby. Near the end of my career in education, I moved to a central office position in education and someone mentioned that I was a good writer. This became, "Let's put him in charge of grant writing in addition to his other duties." During a meeting with officials at the local Community Foundation, I was asked for permission to share my name with some non-profit organizations. I started writing for a couple of non-profit organizations as moonlighting work at nights and during the weekends. Eventually, I reached that magical time for educators when the retirement benefits are more than the take-home pay for working and I easily moved to full-time freelance grant writing. LTK: What do you enjoy the most about writing grants? BZ: As is true of most writers, I tend to be a passionate person. Writing grants gives me an outlet for that passion. I can get real passionate about writing for a shelter for homeless women, a performing arts theatre in the middle of the Black Belt that serves children who live in abject poverty, a Boys' & Girls' Club in the Black Belt, public transportation (in the midst of global warming and price gouging oil companies, this one's easy to get passionate about it), for my town (okay, this one is volunteer work), an environmental group, a substance abuse facility for men, dropout prevention grant for a high school with a dismal graduation rate, and the list goes on for the things about which I can get passionate. In addition, I teach grant writing classes through the Nonprofit Resource Center of Alabama and Mobile Technical Institute. Teaching resides in me as a desire to fulfill. Teaching writing and conducting workshops to improve writing skills for grant writers fulfills that desire to teach. LTK: What type of training do you recommend those who want to work in this field? BZ: Learn the industry of non-profit, attend conferences conducted for non-profit organizations, and understand all phases of non-profit industry. I do not do work in any other phase of fund raising other than occasionally helping to write direct mail letters. However, I need to understand special events, endowments, capital campaigns, and other forms of fund raising for non-profit organizations when performing grant writing work. Also important, I need to know when to tell an organization that they should not hire a grant writer, but should pursue other means of fund raising. LTK: When hiring a freelancer to assist with grant applications, what qualities do organizations look for? BZ: Integrity. Lots of low-life, skuzzy, bottom-feeders masquerade as grant writers. Most people from non-profit organizations have horror stories to tell about disreputable writers or know of horror stories from other organizations. Organizations look to be able to trust their grant writer. LTK: Is there anything you would like to caution against? BZ: Never promise or guarantee. Never work for a percentage (this is unethical and, in some cases, illegal). Enter cautiously with organizations that are too desperate. Also, enter cautiously with for-profit organizations. For-profit organizations wanting to hire a freelance writer are typically business people looking for something for nothing. I have been cheated 100% of the time working for the for-profit organizations. Quite simply, I do not work for for-profit organizations anymore. LTK: What advice do you have for people who want to get started in a grant writing career? BZ: Join a professional organization such as Association of Fundraising Professionals. One can find information about this organization on AFPnet.org. Membership in this international organization of professional fundraisers gives a grant writer instant credibility in the profession. Further, as a member of this organization, one works with a Code of Ethics. This gives a writer the basis to conduct ethical work. Many times, I have relied on the Code of Ethics to advise a client how we can proceed with a project or not proceed. For getting additional work, the networking possibilities are incredible. I stay amazed at the connections I have achieved and the work that I have received, simply by showing up at meetings once a month. 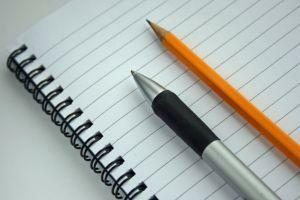 LTK: Should grant writers keep portfolios of their work? If so, what should go into them? BZ: No. The work a grant writer does for non-profit organizations is confidential. Occasionally, prospective clients will ask me for references. I do not even give references of my current clients without first asking permission from my clients. LoveToKnow Freelance Writing would like to thank Dr. Zeanah for taking time from his busy schedule to share his expertise about professional grant writing. Dr. Zeanah may be reached at 251-968-5174 or bob (at) zeanah.com.